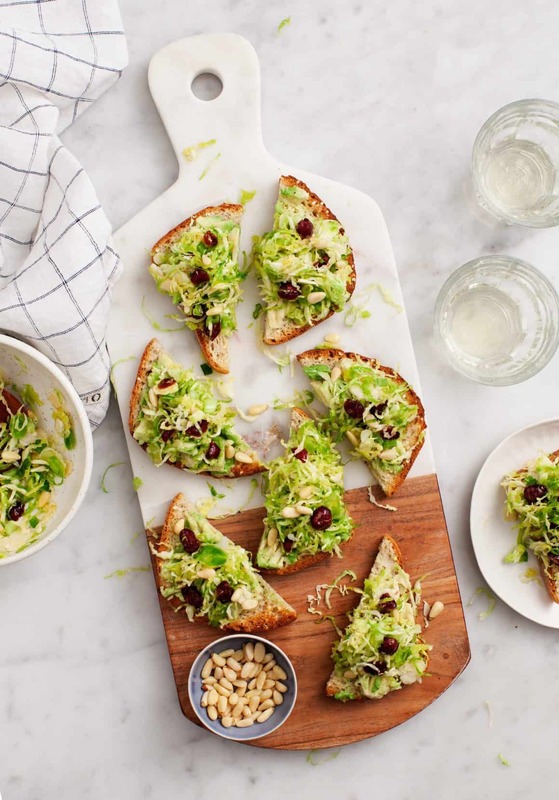 This smashed avocado toast is topped with a tangy Brussels Sprouts salad. Great for breakfast, a snack, or to serve to family. 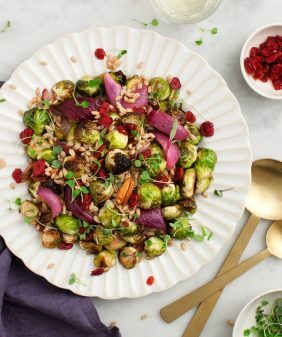 There’s a shaved Brussels sprout salad in our Cookbook (page 68) that’s one of my go-to salads in the fall and/or winter. It has a tangy citrusy dressing and it’s tossed with cranberries and pine nuts. A few weeks ago while I was planning to make that salad for Thanksgiving, I saw a sprout and ricotta toast recipe on Epicurious and got the idea that my favorite little salad would make a bright festive appetizer. Instead of using ricotta cheese to hold the filling onto the toast I used smashed avocado – because I can never resist yet another seasonal avocado toast. 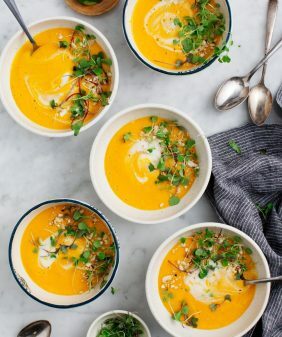 This one is super simple and also pretty healthy as far as holiday fare goes. Assemble the salad (which you can do far in advance, if you like). 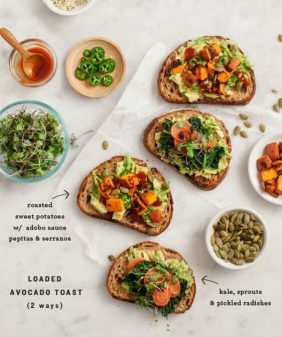 Before your guests come, toast the toasts, smash the avocado and top each toast with a bit of the salad. 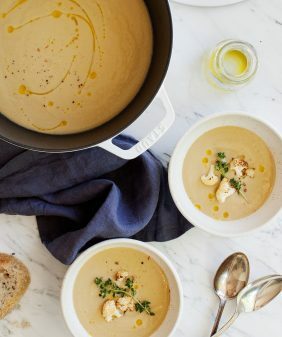 If you’re not having a party, these are equally delicious for lunch with a bowl of soup. In a medium bowl, whisk together the olive oil, lemon juice, orange juice, Dijon mustard, garlic and a few pinches of salt and pepper. Add the shredded Brussels sprouts and scallions and toss to coat. Let sit for 10 minutes, then add the cranberries and pine nuts and toss to incorporate. Season to taste. Slice the avocado in half and remove the pit. With the avocado still in its shell, use a paring knife to slice each half into cubes. Squeeze some lemon juice and a pinch of salt on both halves. 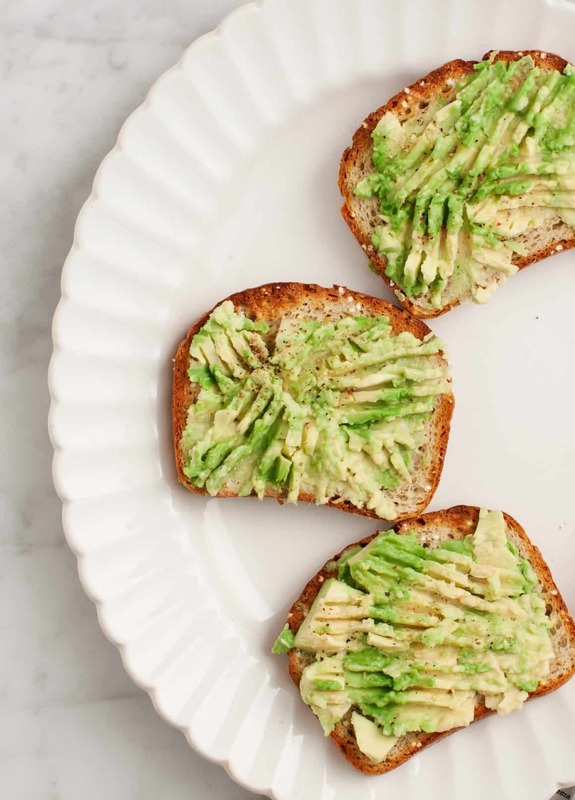 Use a spoon to scoop the avocado out of the shells and onto the toasts, then smash down with the back of a fork. 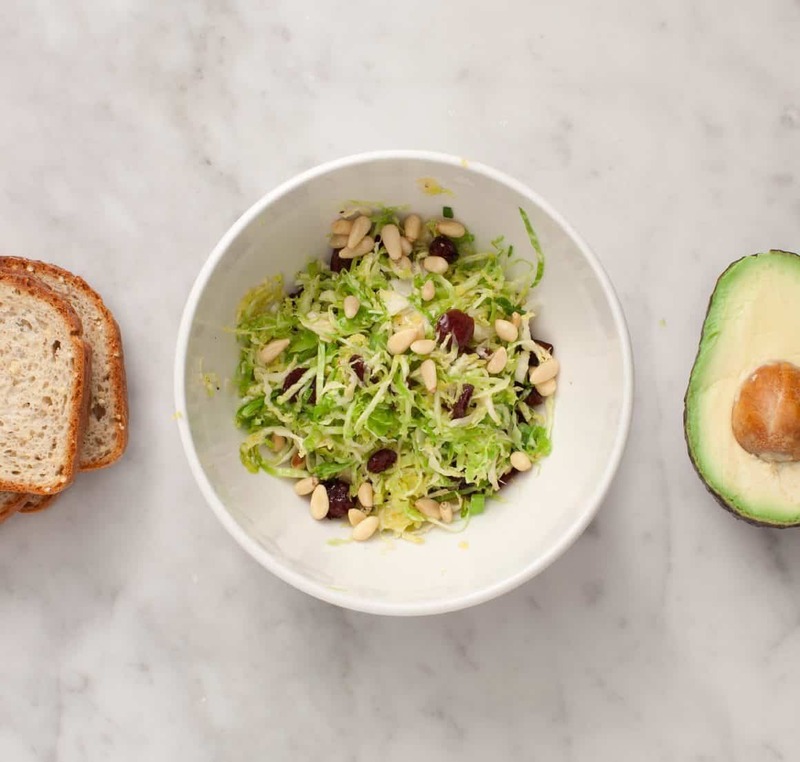 Top toasts with the Brussels sprout salad and serve. 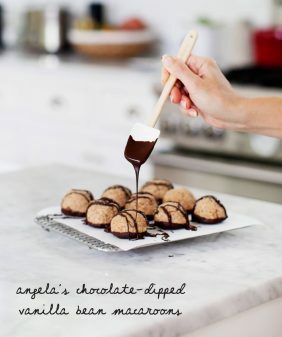 This sounds so tasty! Avocados and Brussel sprouts are two of my favourite veg! How do you shave your brussel sprouts? That’s the trickiest part for me! I’m so glad I wasn’t the only one with this question. They are a pain to shred with a knife! Very healthy food. And for me the most important part is that it’s easy to cook, i am going to try this.Thanks. Love the simplicity of this! 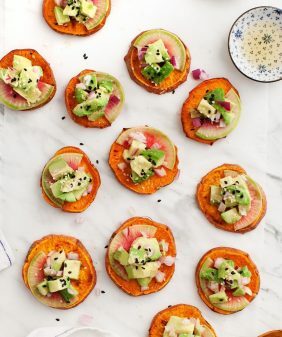 Also love anything I can add to my avo toast! Nice recipe Jeanine. This recipe suits well for the breakfast which is so delicious to take. Once after finish reading your recipe, I decided to try this at home and I did it. Its color and texture is very attractive for my kids such that they show very much eager in eating this breakfast recipe. simple recipe and easy to understand, thanks a lot..
My neighbors loved this at our little progressive (house to house) party this week. The toasted pine nuts and cranberries made the salad interesting and the lemon juice made the combination really pop. Loved it! Hi Cathy, I’m so happy to hear that! Healty food. it looks yummy 🙂 thanks for tips. Hi Jessie, good post, understandable instructions. thank you.